Just when you thought we knew all there was to know about the human body, researchers just discovered an entirely new human organ. Called the interstitium, it consists of a series of fluid-filled, shock-absorbing compartments that shield body tissues. The interstitium was previously thought to be dense layers of connective tissue, but it turns out that it is actually one of the largest organs in the human body – and understanding it better may offer clues to understanding how cancer spreads. Dr. David Carr-Locke and Dr. Petros Benias identified it as an organ while scanning a patient’s bile duct for signs of cancer. The doctors collaborated with New York University pathologist Dr. Neil Theise to further explore the structure and function of the newly identified organ. In a study published in the journal Scientific Reports, researchers note that previous research had failed to note the presence of the interstitium because traditional methods for the observation of body tissues involved the draining of fluid. “This fixation artifact of collapse has made a fluid-filled tissue type throughout the body appear solid in biopsy slides for decades, and our results correct for this to expand the anatomy of most tissues,” Dr. Theise told the Independent. Researchers noted that the interstitium drains its fluids into the lymphatic system, which affects and regulates the body’s immune response. This means that cancer cells could potentially be released by the interstitium as it transports fluid throughout the body. If properly understood, this new organ could prove to be key in preventing the spread of cancer. “This finding has potential to drive dramatic advances in medicine, including the possibility that the direct sampling of interstitial fluid may become a powerful diagnostic tool,” said Dr. Theise. 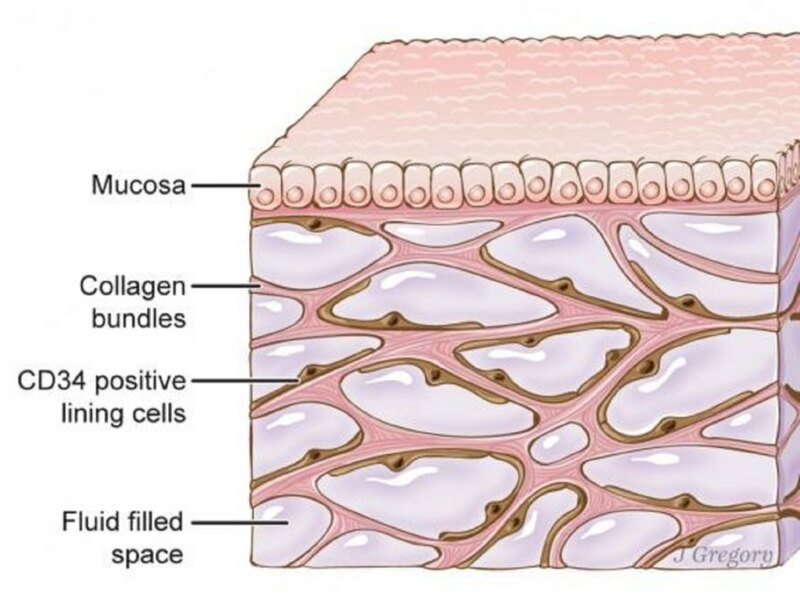 A diagram of the interstitium's structure.